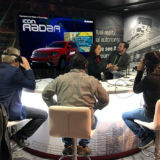 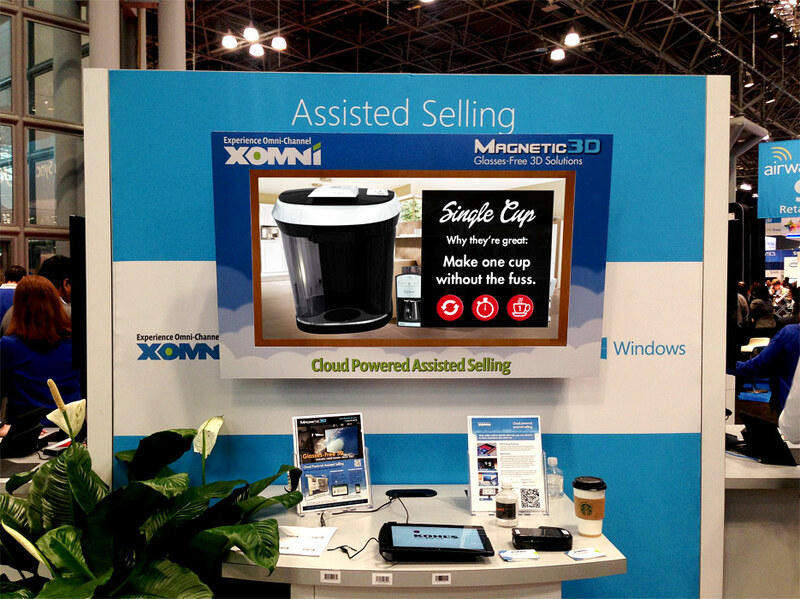 In Microsoft’s booth, XOMNI demonstrated its Assisted Selling Application as well as its complete integration with Microsoft devices and operating systems. 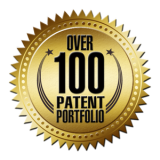 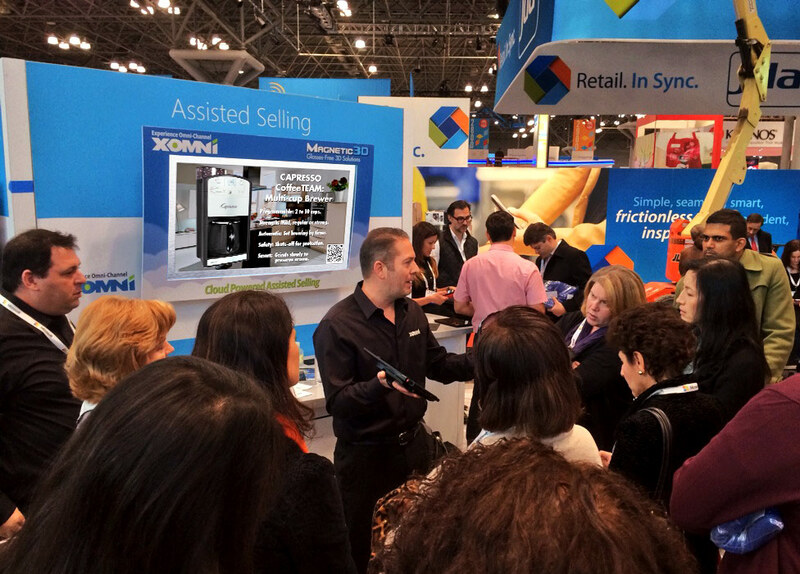 Using a Magnetic 3D display, XOMNI unveiled its integration of glasses-free 3D technology at NRF 2014. 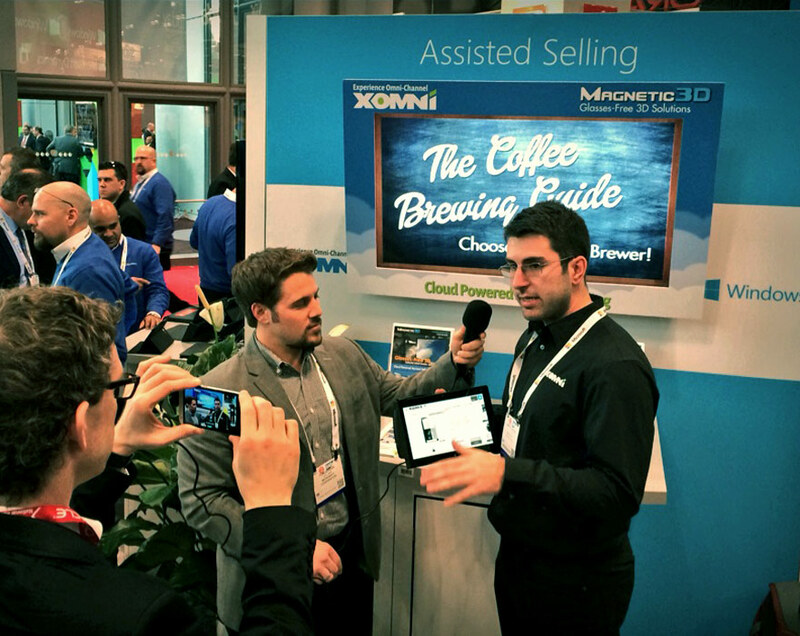 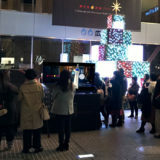 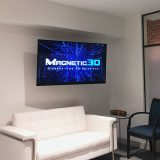 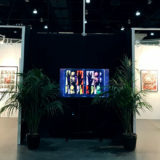 Visitors to the booth observed this integration as XOMNI-equipped tablets interacted with the Magnetic 3D screen, providing a first-hand illustration of the impact glasses-free 3D technology delivers to the retail industry.